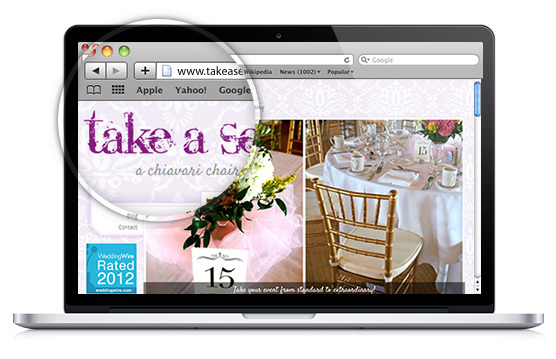 Take A Seat is a chiavari chair rental & event planning company based in Shelby Township, Michigan. We offer the very best in event seating and rentals for your special occasion, including high-quality wood chiavari chairs, charger plates and chair sashes. We also offer partial & full event planning services.While our event rentals are based in Metro Detroit, our event planning services also cater to destination events all around Michigan.